Very dedicated staff and healthy food. 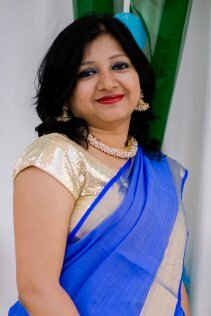 I am Ritu Agrawal, a software engineer and a mother of two kids. I have 10+ years of experience in IT industry. I chose school industry after all corporate experience because I love being around kids and enjoy their world full of energy and spontaniety. I believe kids if given right environment can explore and develop understanding of the world around them with right values and ethics. We as a parent or teachers, together, should work to shape their future by supporting them in their learning. Footprints as they say "Your Parenting Partner" aligns to my belief and together we shall work for a better future of our kids. Hobbies: I like reading books and adventure like camping, trekking etc. I am a crafter by heart and love indulging in creative work like painting and crafting.